Gov. Doug Burgum speaks to elected and appointed state agency heads (3/38/18). "One of the things that I've come to understand in my time here is, the way we do budgeting in this state is driven at an agency level," Burgum said. "Agencies are budgeted in silos. And sometimes within an agency, there are silos within silos." 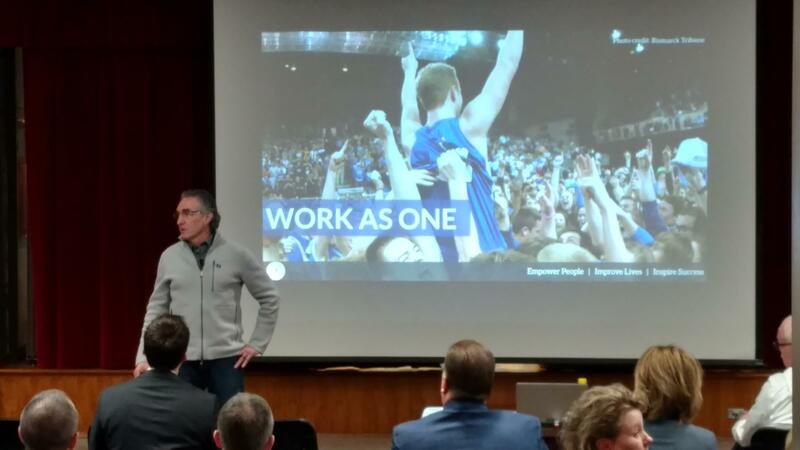 So Burgum is proposing that the agencies work with the Office of Management and Budget to streamline some things – and find ways to better serve their clients. 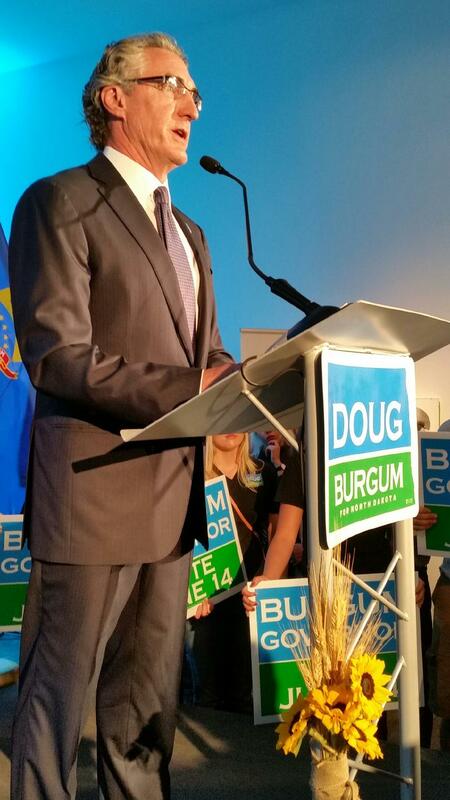 "We have to get outside of our comfort zone," Burgum said. "We have to figure out a way to talk to each other, as opposed to about each other." Burgum said this would be a different way of approaching budgets – something that isn’t found in any other state government. 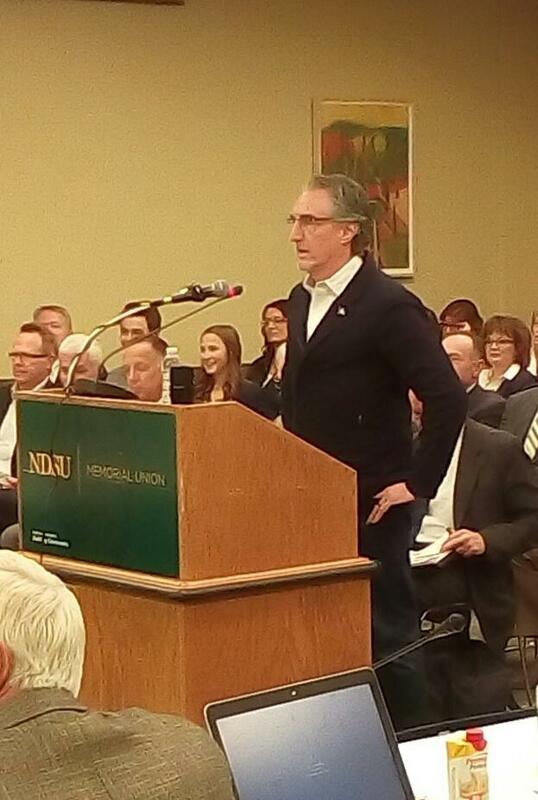 "We want to start the conversation," Burgum said. "Instead of saying, 'This is an impossible dream,' we want to have a conversation on how we can be the first state to actually have a budgeting process, a strategic planning process and a financial system that would allow us to get at the true cost of the real issues facing our citizens." Burgum said while the state’s economy has improved after the 2017 Legislative session – which saw virtually every state agency take significant budget cuts – it still isn’t back to where it was during the oil boom. So he says the state should try to find efficiencies where it can.